· The No. 1 economic growth region and investment potential for the next 10 years. · The transport of commodities from China to Europe will be cut from 32 days to just 11 days. In this age, China is the industrial engine to the world. · Investment estimations are at least US$900 billion over the first 5 years. This presents many opportunities for Investors and construction companies. 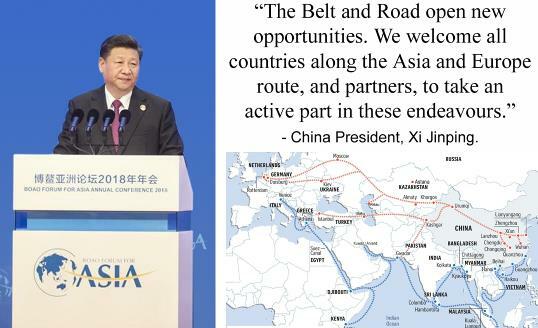 · The One-road, One-belt initiative will require fast trains, new highways and new hub cities, energy plants, ports, airports and commercial needs to be built.